Unfortunately the summer is now coming to an end and we are looking towards the colder, and sadly wetter, months of Autumn and Winter. All too often, the garden gets neglected over this time as we’re not particularly inspired to be getting out there! This year, don’t let your Summer of hard work go to waste and ensure that any new wood projects in the garden are suitably protected from damage. If you’ve had projects completed using brand new wood you’ll probably (or maybe not) be aware that the mill glaze present in new wood can prevent protective finishes from penetrating the wood and so you have probably been advised to leave your new wood to weather until next summer before applying a finish. 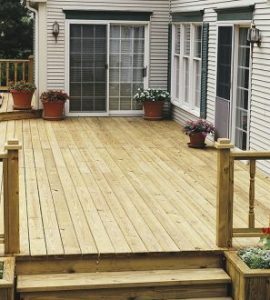 This is a great plan BUT your wood does still need a little help to control the sudden changes in moisture transfer and to prevent it from warping and splitting. 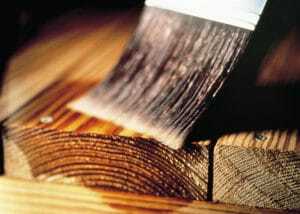 For this we would recommend Owatrol’s new wood protection called Seasonite – you really can’t afford not to use it on your new pride and joy. Seasonite keeps your new wood wrapped up safe over its first winter, controlling the transfer of moisture and preventing the splitting and warping it can be prone to if left unprotected. It’s really easy to apply in a single coat and is colorless so won’t spoil the lovely new-wood finish! Then when the summer comes around again you can use your choice of finish, safe in the knowledge that there’s no mill glaze now and that your wood has not been damaged!